Have you ever visited a new place and instantly fallen in love with it? For us, that was Verona. Tim and I only had a few hours to tour Verona. We visited this city as a quick side trip while traveling between Cervia (for Ironman Italy) and Venice. Verona is gorgeous, similar to Venice but without the canals, the decay, and the huge numbers of tourists. We were pleasantly surprised, and we were here just long enough to know that we can’t wait to return again someday. 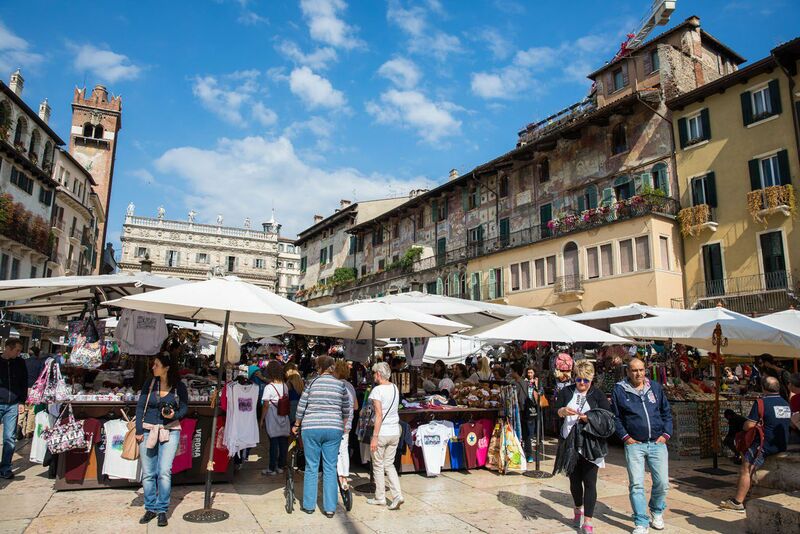 If you have plans to visit Italy and are not sure if Verona should be included in your itinerary, keep reading. 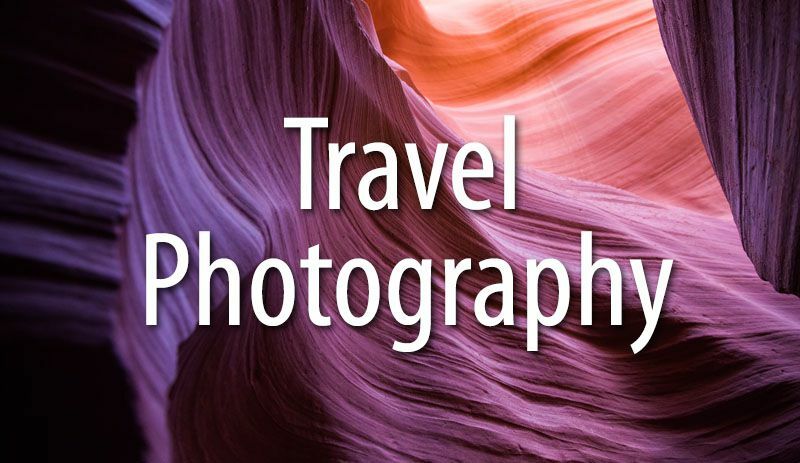 In this post are lots of photos and ideas of things to do. 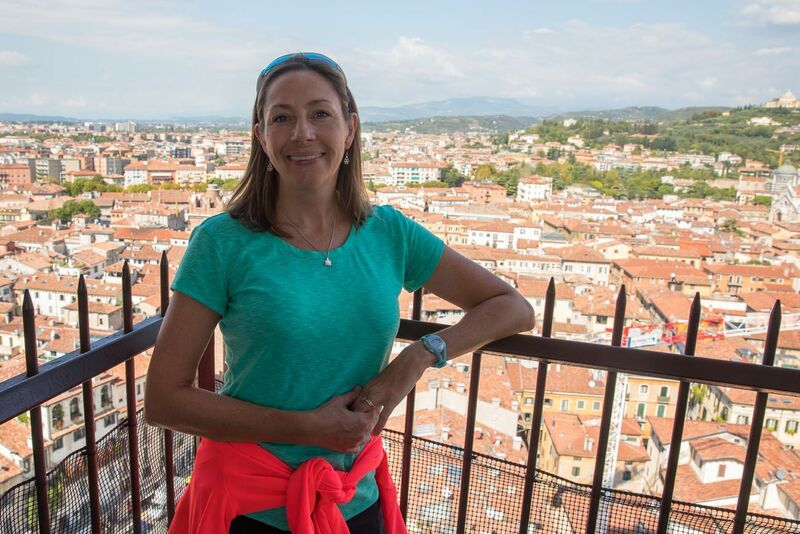 I have a hunch that if you include Verona in your travel plans, you will be thrilled you did so. 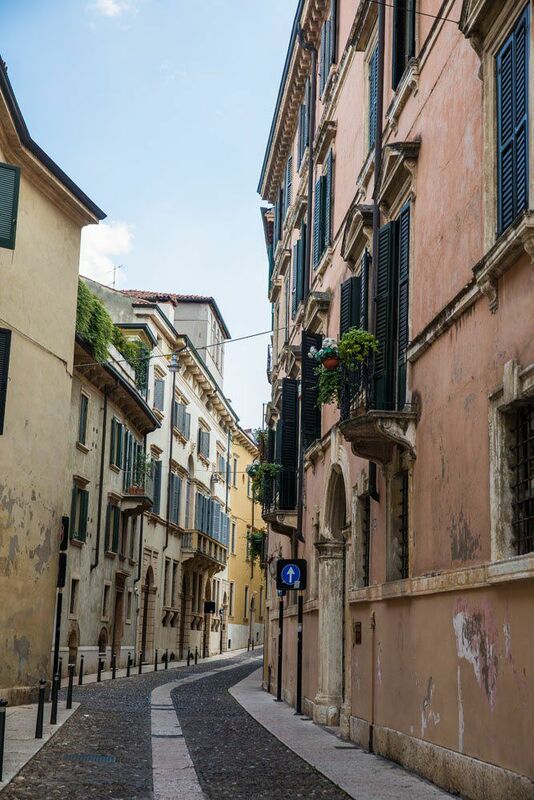 Centro storico is the historic center of Verona. 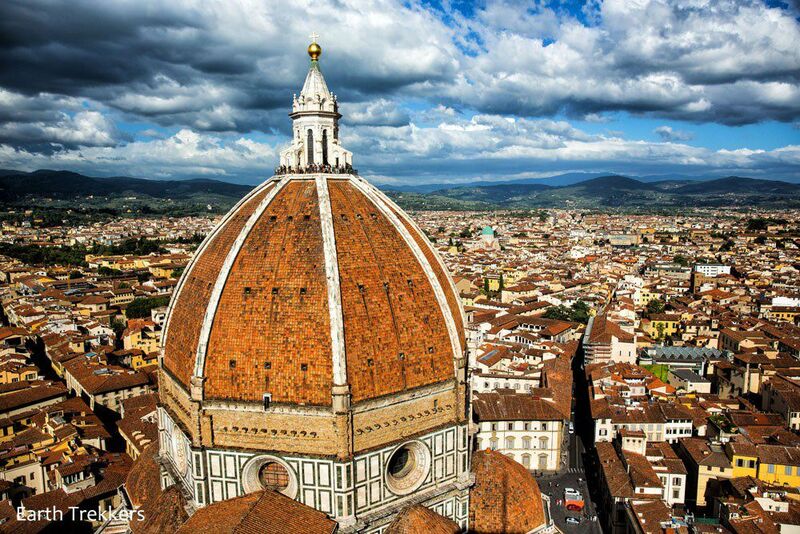 This is where you will find many of the main sights in the city, like the wide piazzas, Juliette’s house, and churches galore. This part of the city is made for wandering (and for taking tons of photographs). 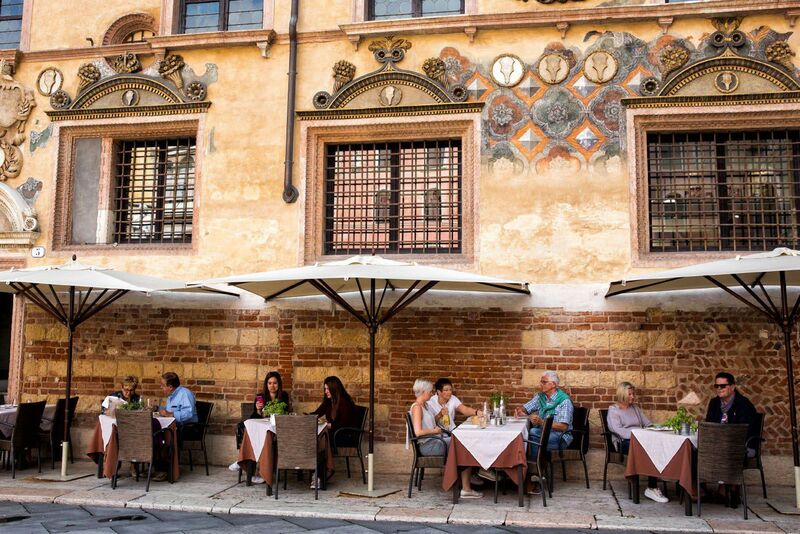 Wander the side streets, have lunch in an outdoor café, and have fun exploring Verona. 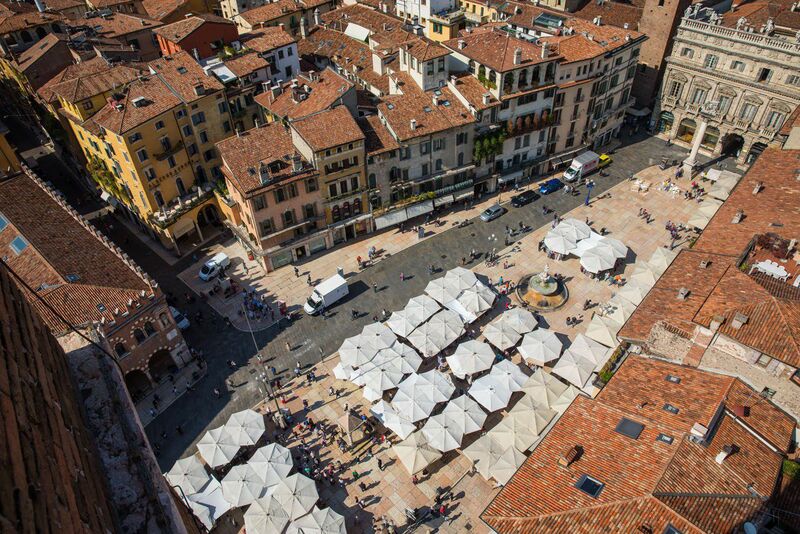 This is main piazza in Verona. It’s a huge open square lined on one side with outdoor cafes. 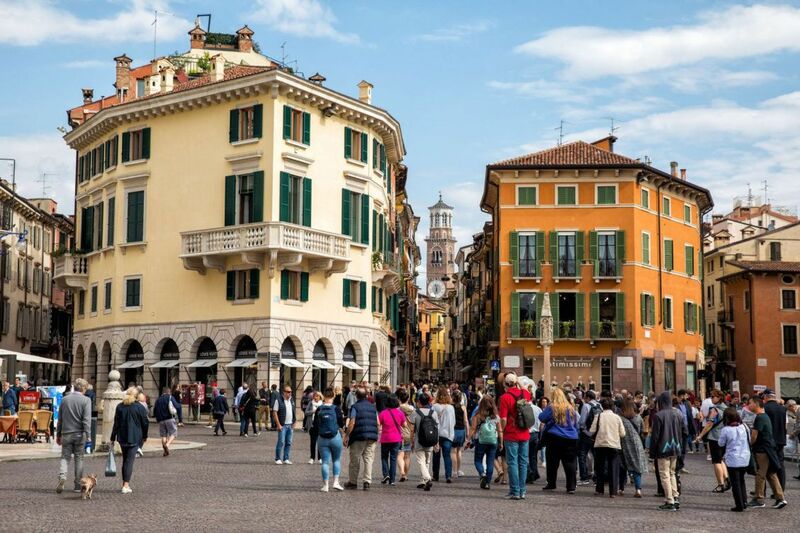 Many people start their tour of Verona in Piazza Bra, as this square sits on the edge of centro storico. The Verona Arena sits adjacent to Piazza Bra. This is one of the best preserved Roman ampitheaters and it is still is use today. You can purchase tickets to tour the inside of the arena or, if your timing is right, see a performance here. For the performance schedule, visit the Arena’s official website. For ticket prices to tour the arena, click here. 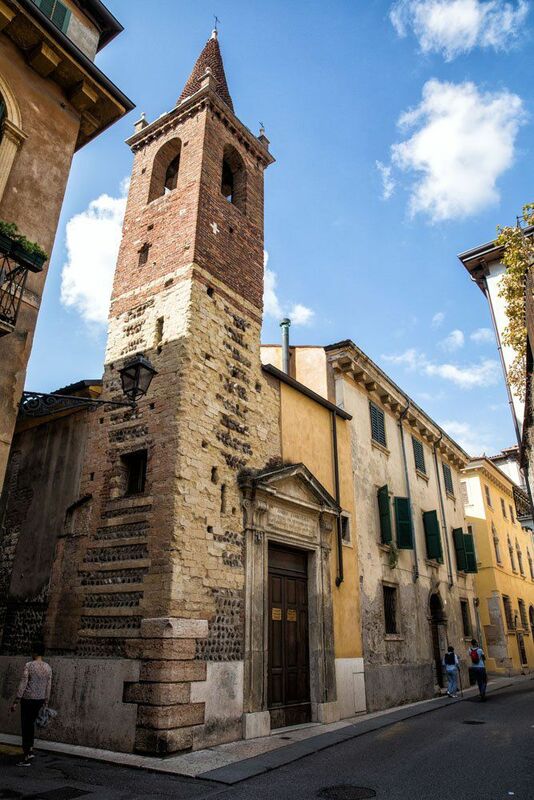 For one of the best views of the city, visit Torre dei Lamberti. The quickest way to the top is via the elevator, but if you want to eat more gelato, take the steps to the top. The tower is open everyday of the year except December 25th. Ticket prices are €8 and the hours of operation are 10 am – 6 pm Monday through Friday and 11 am to 7 pm Saturday and Sunday. 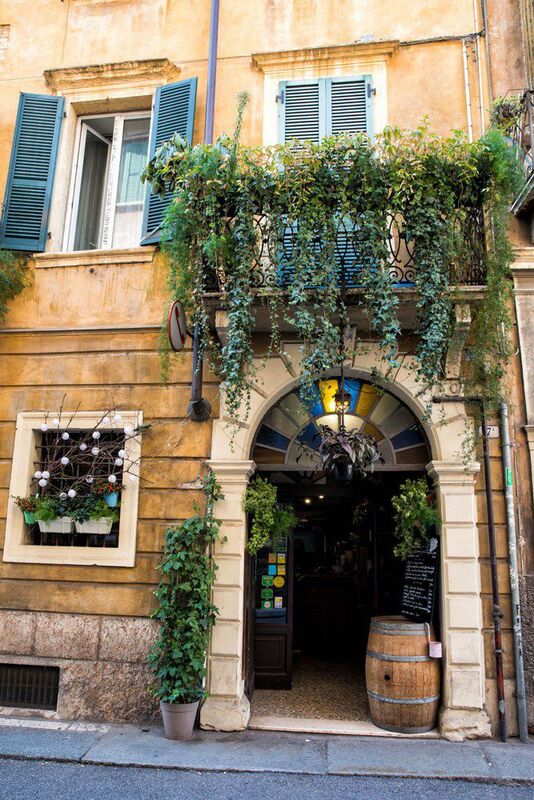 It is located next to Piazza delle Erbe. This is another scenic spot in Verona. It’s also a great place for people watching, to go shopping, or to dine at an outdoor café if the weather is nice. 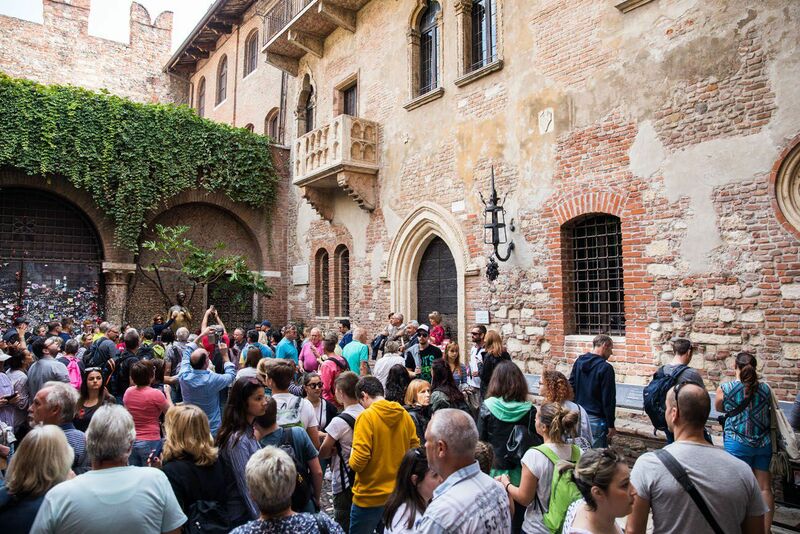 Verona is home to Shakespeare’s legendary love story, Romeo and Juliette. 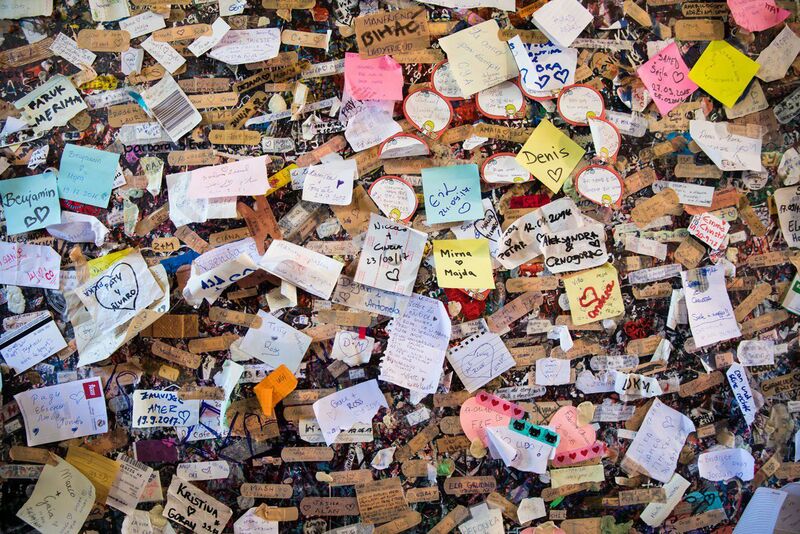 While in this city, you have the chance to see the famous balcony of Juliette’s house. Thousands of people cram into this small square everyday to see this balcony and to have their picture taken with the statue of Juliette. Just be aware that the balcony was built in the 20th century and this really is nothing more than a tourist trap. But if you know to expect the crowds and the tacky stores that sit all around the square, it can be a short but entertaining visit. Tim and I had fun watching people eagerly waiting in line to have their photo taken with Juliette. You can pay to tour the museum and stand on the balcony, if you want the full experience. This is one of the prettiest bridges in the city. 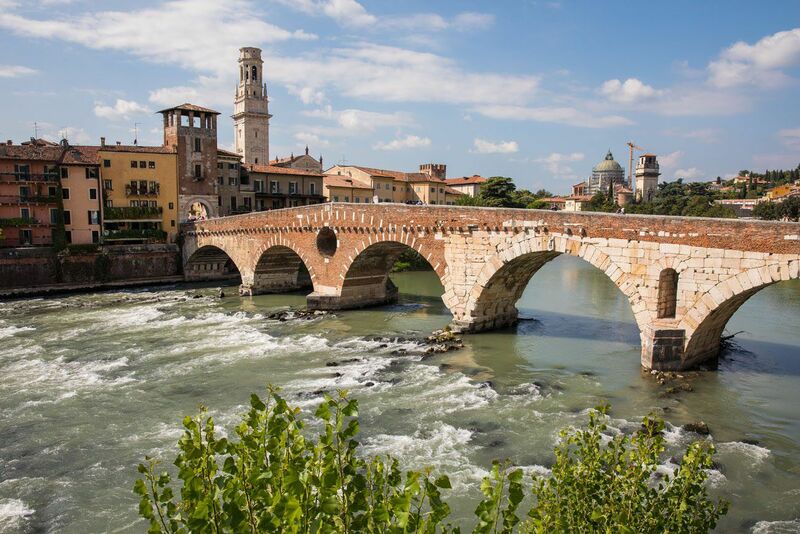 Ponte Pietra connects the old city of Verona with Teatro Romano and Castel San Pietro. For another great view, climb up the stairs or take the funicular to Piazzale Castel San Pietro. This is nothing more than a viewpoint since the castle is currently closed. 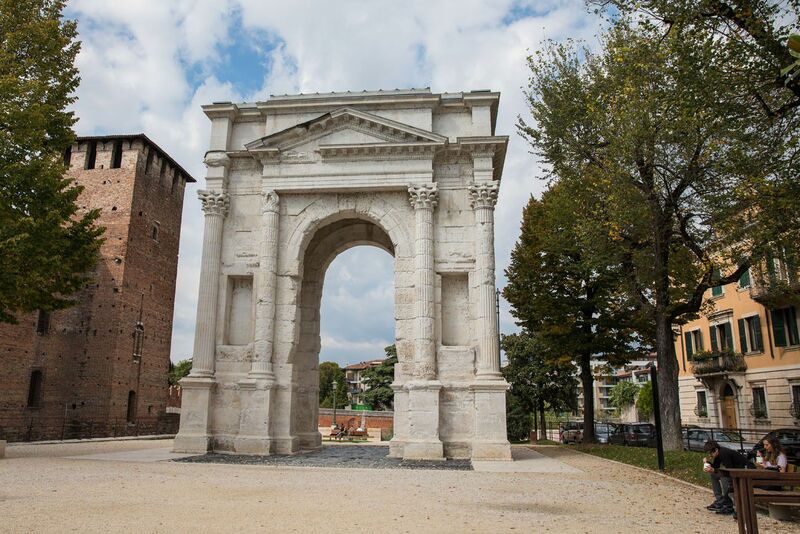 Just down the hill, sitting near Ponte Pietra, is Teatro Romano, an ancient Roman theater and museum you can tour. Also located near Ponte Pietra is Santa Anastasia church. This is a 13th century Gothic church featuring famous frescoes and a stunning interior. Remember when I said that Tim and I had just a few hours in Verona? 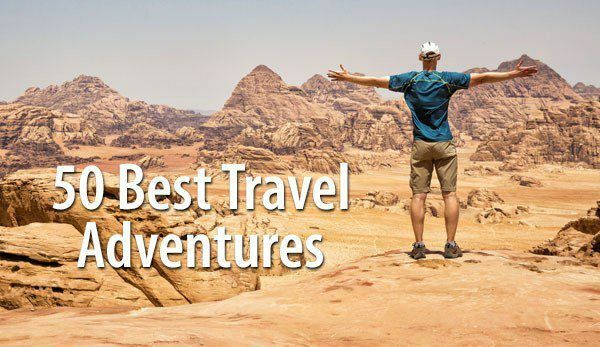 With our limited time, we did not get to see everything on this list. 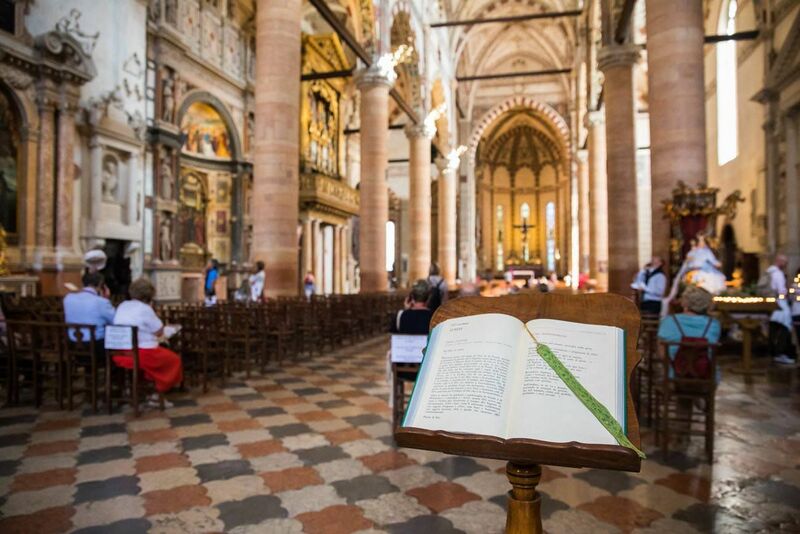 This Basilica is one of those places that we missed, but I wanted to include it in this post simply because other visitors to Verona rave about this place. Why is this basilica worth a visit? 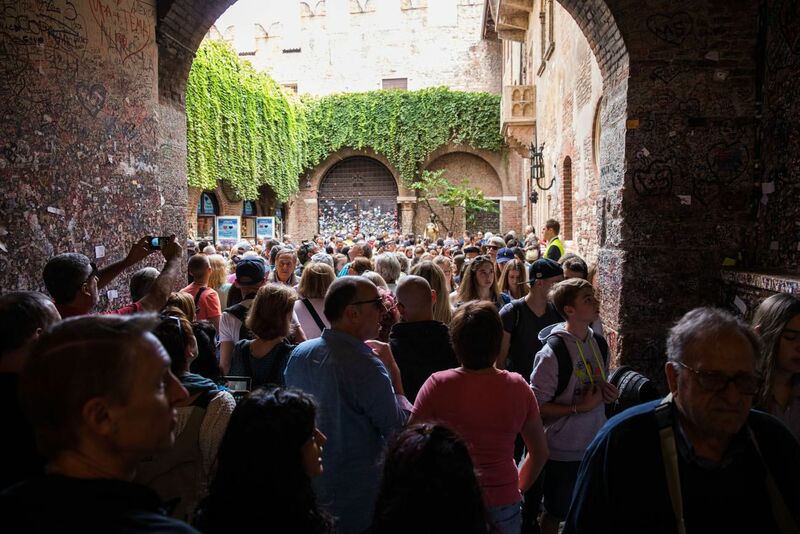 For one thing, the crypt is the location of the wedding in Shakespeare’s Romeo and Juliet. This basilica was also recently renovated and is home to stunning frescoes and ornate bronze doors. 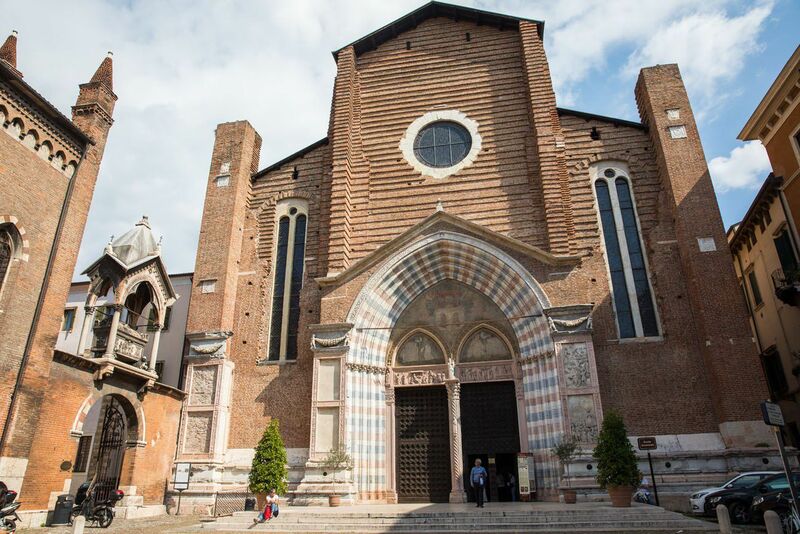 The Basilica di San Zeno Maggiore is located a little outside of the main city center, which is why we missed it with our limited time. But if you enjoy visiting churches, this may be the best one in Verona. 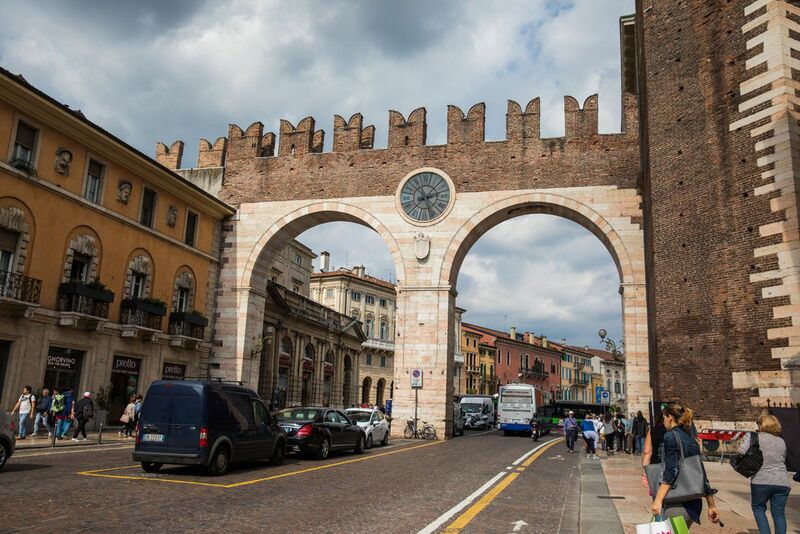 This Roman gate was constructed in the 1st century over the Roman road leading into Verona. It stood for centuries until French engineers destroyed it during Napoleonic rule. It was reassemble in 1932. 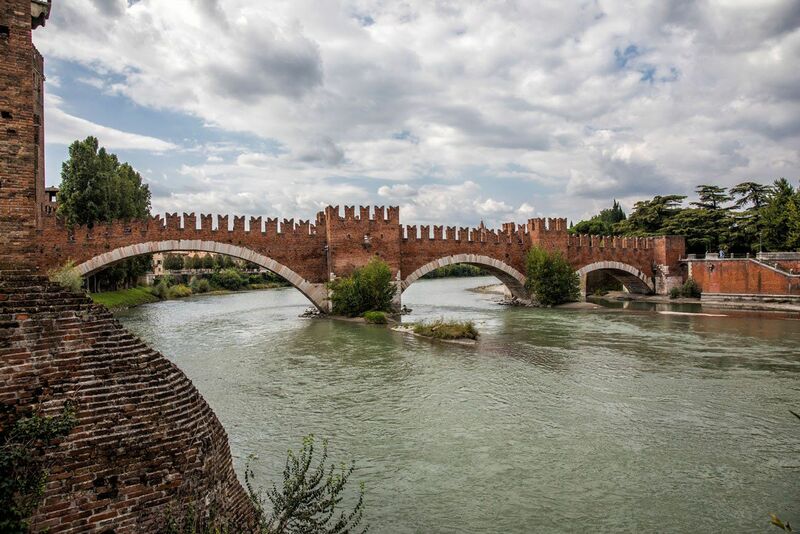 This old, medieval bridge is one of Verona’s iconic spots to visit. This is also a great spot for a photo-op. You can also tour Castelvecchio, a medieval castle that was constructed in 1354. The castle is open daily and tickets cost €7. Should You Buy the Verona Card? 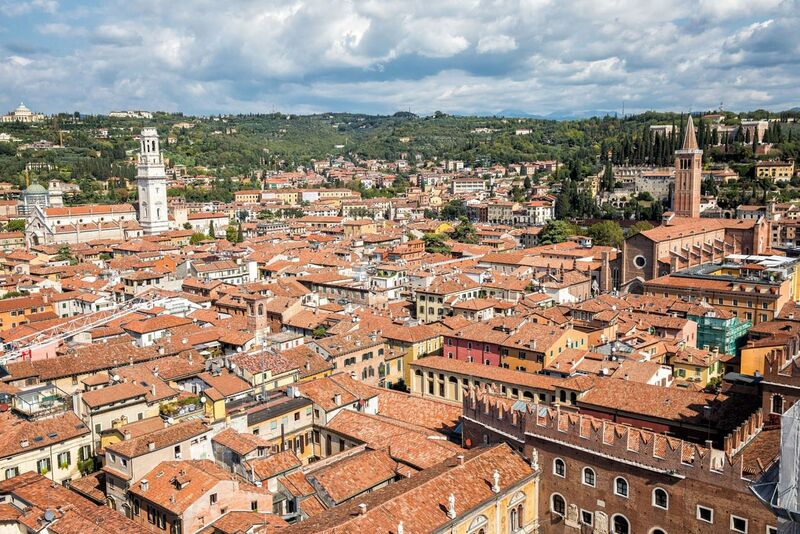 The Verona Card covers most of the main sites in the city. The Card can be purchased for 24 hours (€20) or for 48 hours (€25). 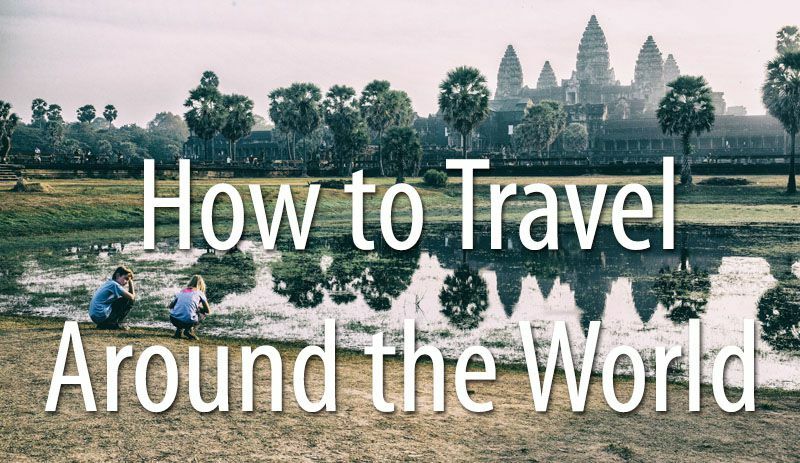 If you plan on visiting many of the sites that have an entrance fee (such as the Arena, Castelvecchio, Torre dei Lamberti, the museum at Juliette’s house, Basilica di San Zeno Maggiore, Teatro Romano, etc.) then buying the card is worth it. Once you purchase the Verona Card, it allows you to enter these sites for free. 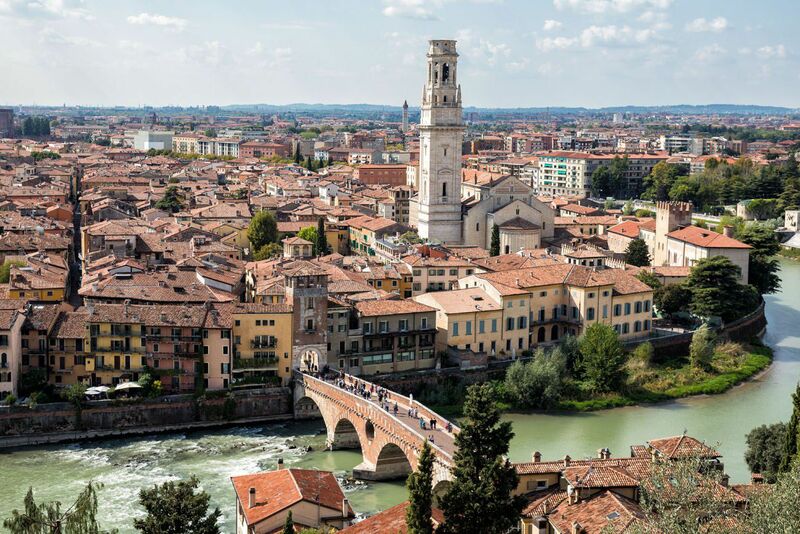 The Verona Card can be purchased online, at the sites in Verona that accept the Card, and at several hotels in the city. Click here to learn more about the Verona Card. 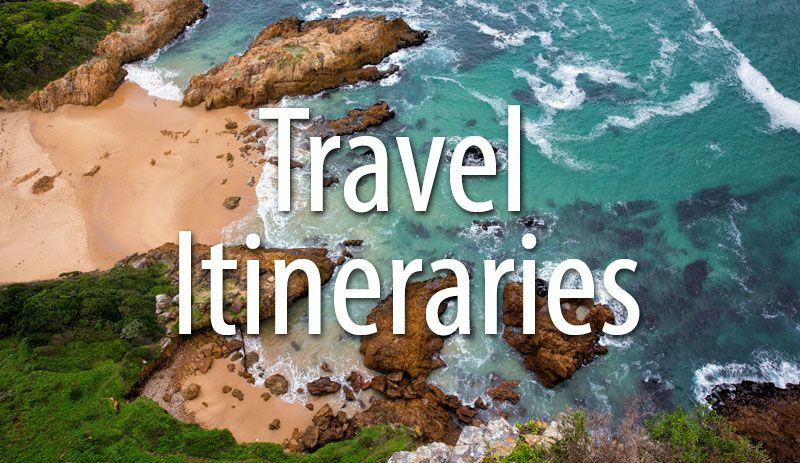 One day is just enough to visit all of these sites. We saw everything in just under four hours, only skipping the Basilica di San Zeno Maggiore, Castelvecchio, and a walk across Ponte Scaligero. But we did move super fast, quicker than we would have liked, but we had a plane to catch later in the day. 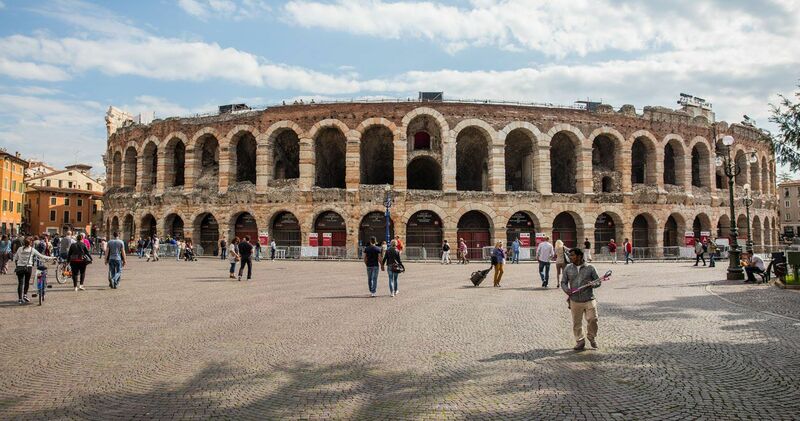 However, when we return to Verona (which we will someday…how we loved it here!) we will spend at least one night here. 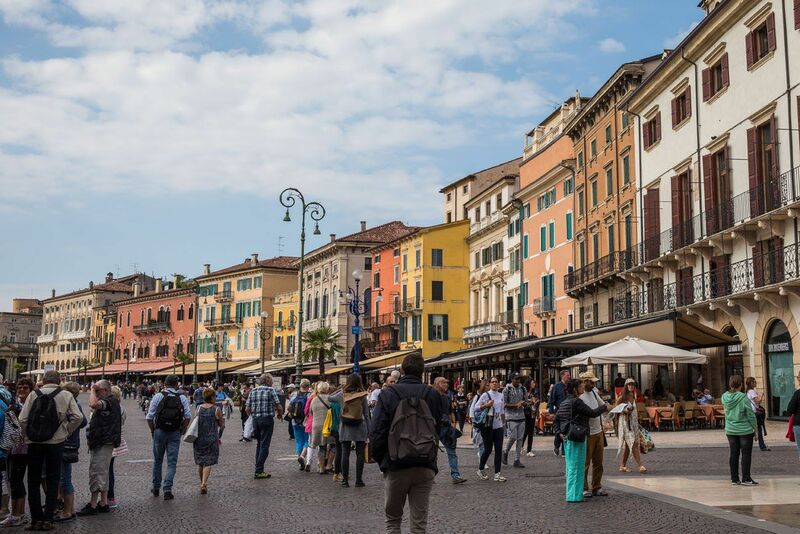 There is a tradition throughout Italy called the passeggiata, an evening stroll through the city, and it is quite popular in Verona. Italian families dress up for a leisurely walk through the city. Join the locals or have a glass of wine at an outdoor café and enjoy the view. 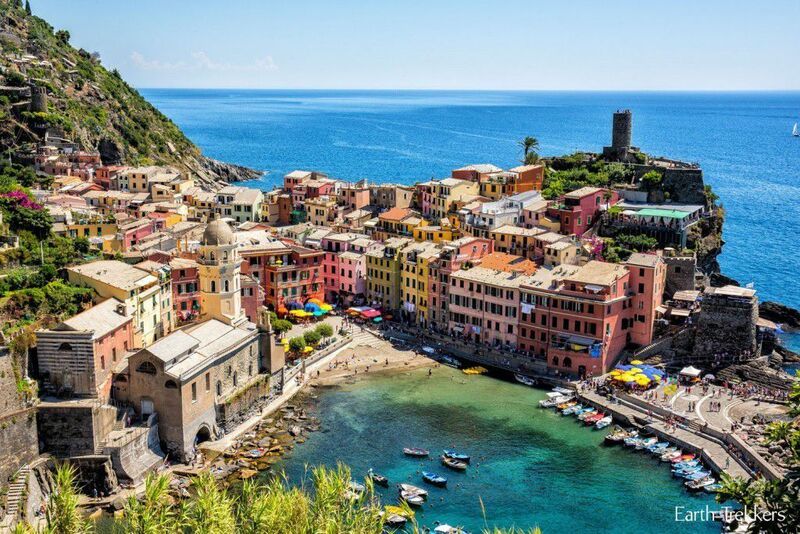 It sounds like a wonderful way to spend an evening in Italy. 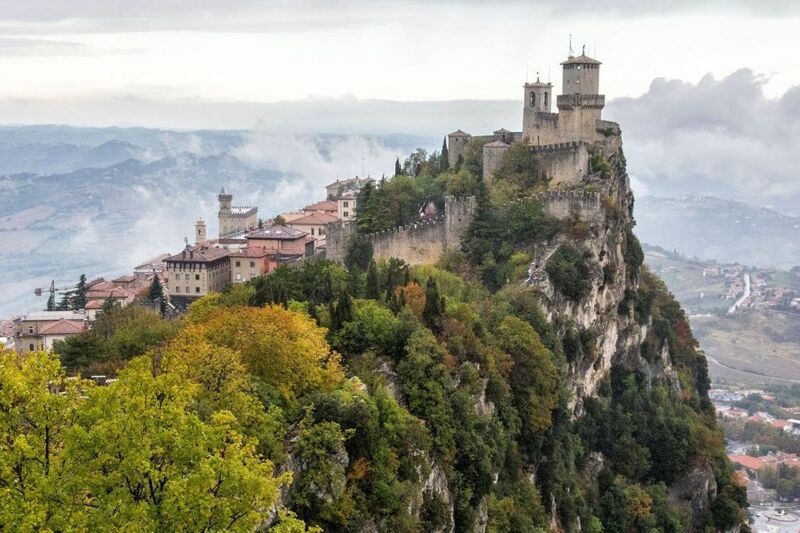 Madonna della Corona is not located within the city of Verona. It is one hour north of Verona, just over 45 kilometers away. This church literally clings to the side of a mountain. It is quite the sight to see. 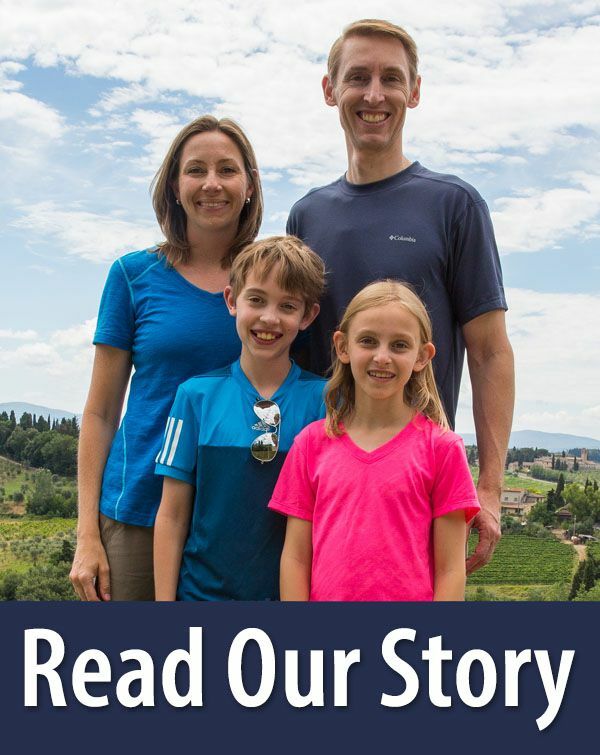 Again, we missed this, but we wanted you to know about it, just in case you have some extra time to spare and were looking for a unique but spectacular destination to visit near Verona. 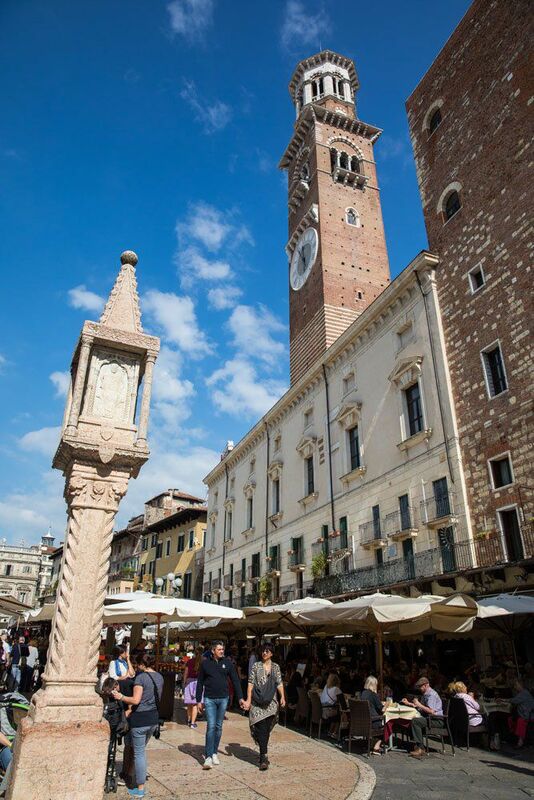 Do you have any questions or comments about visiting Verona? Comment below! 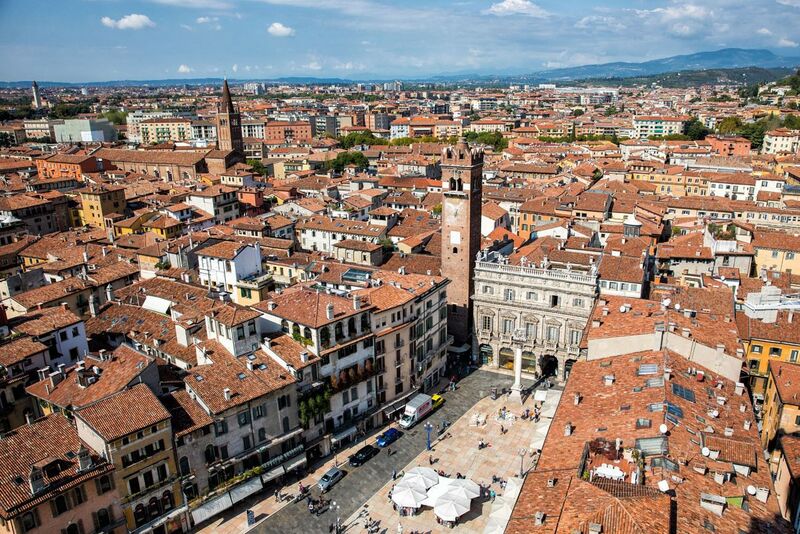 Hi, I’m considering visiting Verona in January for 4 days. 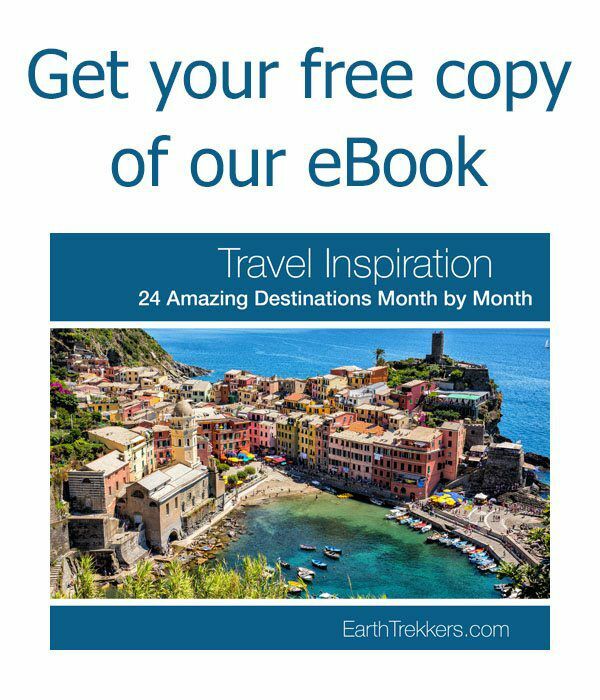 Would I need a car to travel around and possibly to Lake Garda and Madonna della Corona? 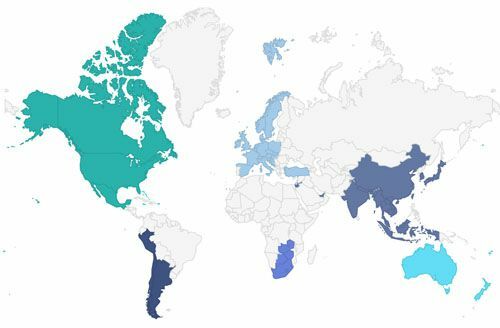 I’m hoping it’s a nice place to visit all year round? Julie, this is a fabulous post! 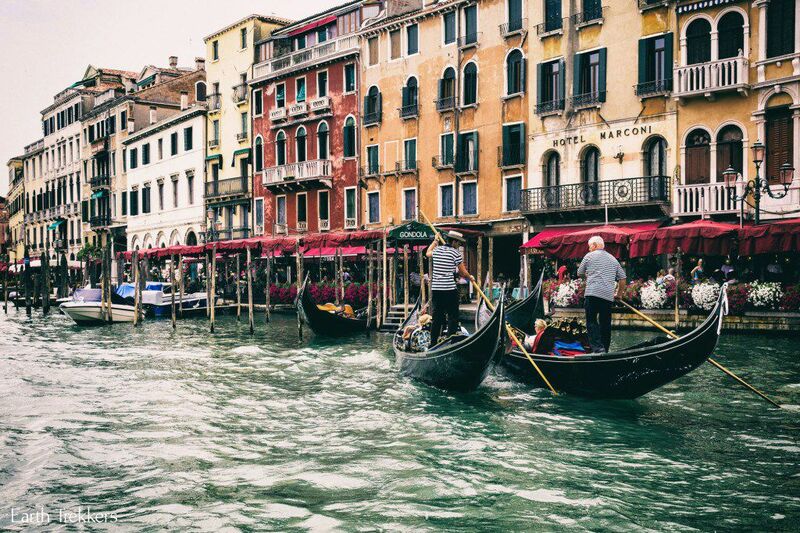 We are traveling Venice – Dolomites – Lake Garda with another couple and thinking of spending our last night in Verona instead of Venice but we’ll need to get to Marco Polo airport for flights out the next day. Feasible, or crazy? Also, any recommendations on places to stay? Thanks for the tip! 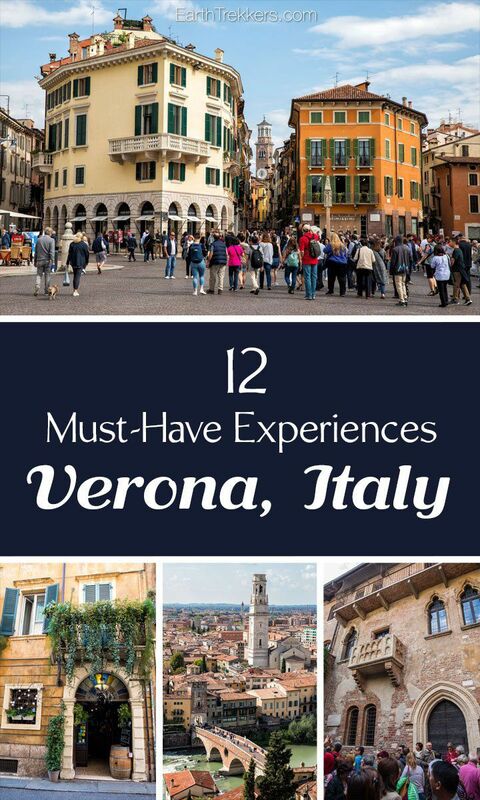 We will add to our list for the next time we visit Verona. a week in verona too long? These are great tips! Heading there for one day next week, and will definitely try and go see the Madonna della Corona as we will be heading north after anyways! Good work! 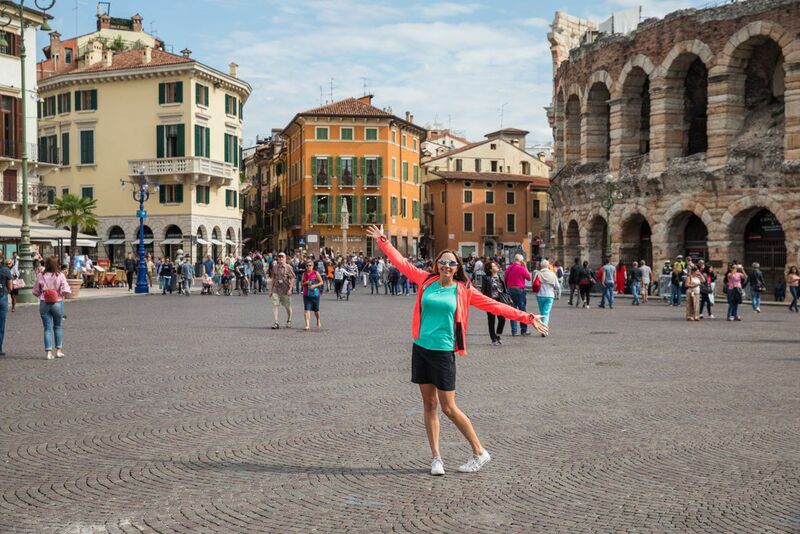 I fall in love with Verona too! Such a romantic city!